Having a cute and colorful lunch box for girls allows you to ensure that your child is getting food they like that is healthy for them. Of course, when it comes to preschoolers and early elementary children, you want to choose a colorful lunchbox your child will like, so that they will be thrilled to eat the lunch contained inside. Founded in 1904, Thermos have been a leading manufacturer of insulated food and beverages containers for more than a century. This company has such a good reputation that the company name has become a nickname for hot/cold containers regardless of the brand. 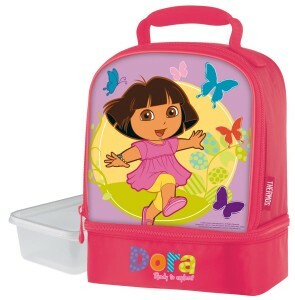 The Dora the Explorer Lunch Kit is perfect for the smaller girls to carry their lunches in. This cute little Dora the Explorer lunchbox has just the right features to keep your child’s food fresh and tasty until lunch time. This is a great lunchbox for any little girl who loves Dora the Explorer. The two separate sections of this lunch box allows you to keep room temperature food and cold food apart. While it is not a large lunchbox, it should have plenty of room for a toddler or very early elementary student. Reviews for the Dora Explorer lunch boxes for girls are exceptional. Most parents who purchased this lunch box for their children love this box. 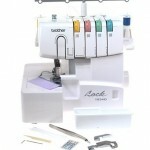 All in all, this lunch box for girls for school is a big hit with parents and kids alike. ORE originals is a company that manufactures a number of useful and easy to clean products to help people make their daily lives a little more functional and pleasant. The Sugarbooger lunch bags offer children, teens, and adults, an attractive and fun way to transport lunches and snacks to school, work, or activities. The Sugarbooger lunch sack has some nice features that makes this lunch bag perfect for both children and adults. This lunch bag is both cute and trendy, and depending on the design you choose, perfect for people of all ages who carry their lunch. Because it is a reusable lunch bag, it doesn’t look too juvenile for teens or adults, yet has designs that children will love. Reviews for the Sugarbooger classic lunch sack are good with most customers liking this handy lunch sack. However, several customers did note, that after using this bag for some time, mold will begin to form between the canvas and laminated layer. But another customer suggests that to avoid this problem customers should turn the bag inside out and then wash the bag gently and air dry it. The Hello Kitty Lunch box is a cute lunch box that is perfect for any little girl who loves “Hello Kitty” or just kittens in general. 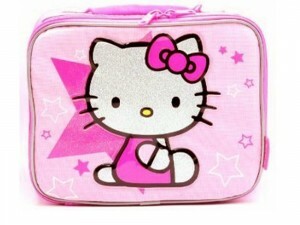 The Hello Kitty lunch box is cute as a button and perfect for little girls who love pink. The cute kitty will please your child, while the lunch box itself is the perfect size for little appetites. There are only a few reviews for the Hello Kitty lunch box across the internet. However, the few reviews that are available are extremely positive, with most customers finding several features of this lunch box they really like. Keep in mind that none of the lunch boxes for girls included in this review come with thermoses. So, if you want to include cold drinks or hot soup for your child’s lunch, you will need to purchase a thermos separately.